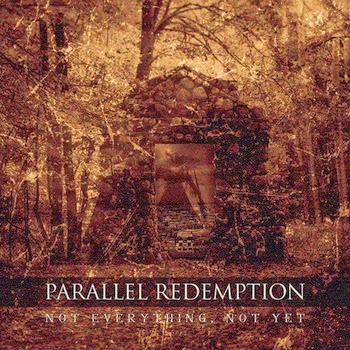 Parallel Redemption are a five-piece metalcore band from Glasgow. All aged between 14 and 18, the band's current line-up have been together for just over a year. Despite being teenagers, the band are by no means inexperienced. Having played shows alongside Yashin's Harry Radford, To Kill Achilles and Page 44, Parallel Redemption have already received mass exposure on the metal scene. Not Everything, Not Yet is the band's latest 4-track EP, starting with Part 2. They certainly start the EP off as they mean to go on, with a highly-energised first minute dedicated to rapid guitars riffs and pounding drums. The track is slightly let down by the lyrics being somewhat indistinguishable, but the song certainly doesn't lack core metal elements. Next track Time is once more aggressive with screaming vocals from Jonathon Can. However, the backing vocals give the the track further dynamic, preventing it from becoming too overpowering.The composition of instruments is a good one, much like third and title track Not Everything, Not Yet, with both possessing heavy guitar riffs throughout. A metalcore cover of popstar Katy Perry's Teenage Dream is probably the last thing you'd expect to hear at the end of this EP but is once more, a head-banger from this young band. It also proves the band are willing to take inspiration from those outside of their own genre, which is never a bad thing! Overall, this EP from Parallel Redemption certainly shows promising signs for the future. As the band continually refine and work on their sound, can we expect to see them up alongside some of their biggest influences Bullet For My Valentine and A Day To Remember? Only time will tell! You can download Not Everything, Not Yet by clicking here. Keep up-to-date with Parallel Redemption on Facebook and Twitter.